Fans Drool At Two New Exciting Pellegrini Signings - Who Next? Unless the board of West Ham United are about to perform one of the biggest U turns in the club's history, fans of the club will hardly believe the 'Pellegrini' effect with regards to new signings. Clearly the new manager wants to get his important business done well before the World Cup starts, this only gives him a couple of weeks but his targets were known well in advance by the Hammers' hierarchy. 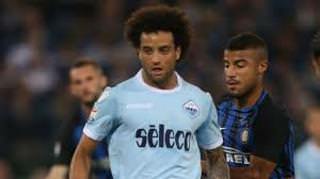 The feel good factor induced by the impending arrival of Marlon from Barcelona B has been further supplemented with news of negotiations between West Ham and Lazio regarding Felipe Anderson as well as negotiations with soon to be out of contract Fulham defender, Ryan Fredericks. Both of these 25 year old players fit the Pellegrini fitness blue print, although Anderson did endure an injury hit season, despite that he still managed to score seven goals and provide 12 assists which helped the Rome club to the Europa League quarter finals. In 177 appearances across five seasons for Lazio, pacey winger Anderson has scored 34 goals and provided 42 assists, and although Hammers have supposedly just got to dot the I's and cross the T's it is not inconceivable that another club might try and hijack the deal for what would be a significant signing for West Ham, news of Hammers early transfer activity has seen expectations for next season soar, as have season ticket renewals, check out the odds at this website. As if news about Felipe Anderson isn't enough, there are very positive signs that West Ham will finally be able to secure the services of Ryan Fredericks now that his current contract is about to expire, his services have long since been coveted by the club, apparently with some guidance from 'Pellegrii the Pilgrim' well before he actually became manager, which does add some creedance to the stories circulating with regards to exactly when the 64 year old Chilean agreed to take over, this would futher explain why David Moyes was only ever given a six month contract. Fredericks would be a natural successor to Pablo Zabalata, he is eight years younger and a natural power house, the right back was "close to agreeing terms" as we go to press having refused Fulham's latest offer of a bumper new deal following their Championship play off success against Aston Villa last weekend. London born Fredericks is a former schools sprint champion who began his career with Tottenham, he left White Hart Lane before making a single competitive first team appearance and arrived at Fulham following loan spells with Brentford, Millwall and Middlesbrough plus a very brief spell at Bristol City in 2015 where, less than a month after signing a three year contract at Ashton Gate, he left to join current club Fulham. The prospect of having two additional 'speed machines' has Hammers' fans drooling, so who on earth might also arrive? Well Felipe Anderson's arrival might mean one of several things, the club could decide to NOT take 'Super Mario' on loan from Inter for another season, or it could mean the potential departure of Michail Antonio, with Crystal Palace very keen on him, as are a whole host of other teams including newly promoted and cash rich Wolves. Antonio has struggled with injuries of late and will not be fit for the start of the season, Pellegrini may be of the view that now is the time to cash in the versatile Antonio, he should be worth between £15-20 Million at least. In an ideal world West Ham would keep Antonio, re-sign Mario, and buy Fredericks and Anderson in addition to Marlon, but it is inevitable that something will have to give, because quite frankly the mooted £75 Million transfer kitty at Pellegrini's disposal is woefully inadequate, even double that figure would see the club barely treading water bearing in mind the huge amount of TV money that all Barclays Premier League clubs are about to receive! If Brighton are offering £2m for a Sunderland player I think we will be punching a bit higher than most. Even Fredericks hasn't signed yet. Be patient; celebrate when the deal is done. Maybe Pellegrini hasn't even signed yet…..
Maybe we haven't even moved to the London Stadium yet. It's all been a bad dream. Now West Ham are linked with Javier Pastore from PSG and even Jack Grealish from Aston Villa. When are we going to put pen to paper with Messi, Ronaldo or even Zenadine Zidane as the assistant coach to Pellegrini? Yeah ! Just who is he bringing with him ? Seems to me like Sullivan pet project. Rumoured to cost up to £25M too. Javier Pastore would be a good signing, but no better than others currently linked with us and also very expensive. A familiar pattern is emerging, though: links with quality players during season ticket sale time; no signings yet, and even Ryan Fredericks (the only one so far who seems might really sign), to be honest, was a Championship player last season, and is probably more of a Sullivan signing than a Pellegrini one. Hard as it is to put a brake on enthusiasm, we should be skeptical and see how things go. But I'll tell ya one thing, if SUGO don't back Pellegrini, then I've really had it with them. they probably promised Pellegrini half of the barcelona squad, but forgot to tell him its on a limited budget. he probably didn't check the fine print. I like pellegrini,but working with this board? ?how many managers have been & gone since they took over,& i cant think of one where there has been a good working relationship,moyesy had them sussed imo,hope im wrong! !